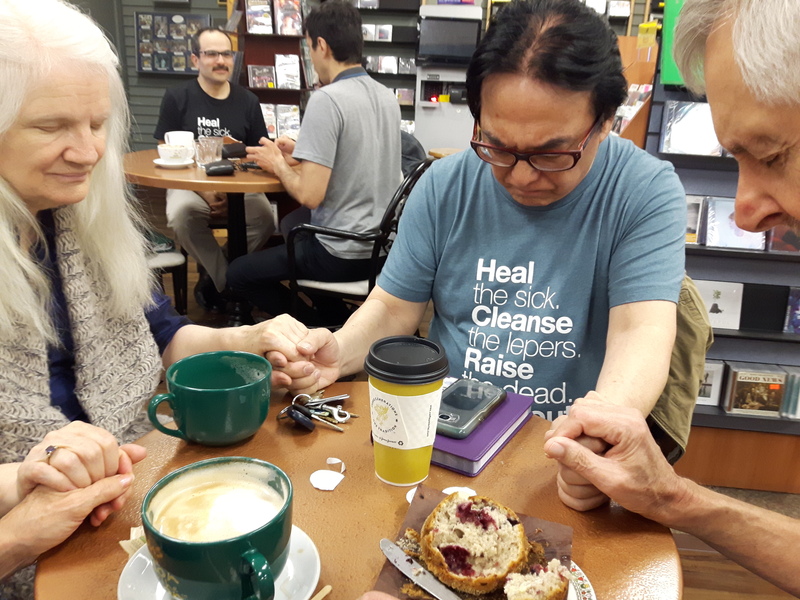 We have a small group of Christian ministers who cannot wait to sit down and pray with you at our Ahava Java Cafe in-store! They have seen and experienced many healings through the powerful name of Jesus! 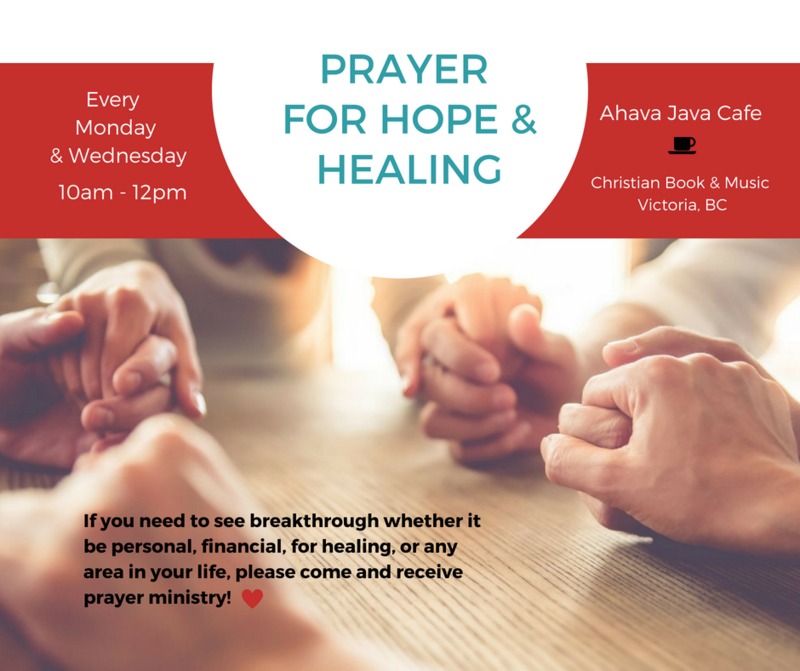 If you need to see breakthrough whether it be personal, financial, for healing, or any area in your life, please come Monday or Wednesday and receive prayer ministry! Last week the group prayed for a man who was given a terminal diagnosis. The gentleman said he did not have enough faith for healing. As the team ministered to him he felt his faith begin to grow. They asked him if he had any pain in his body? The man said yes and gestured to his arm, hip, leg, etc.. So they prayed for him and the pain left! Then the man says,"I can feel my foot!" They asked, "How long has it been since you could feel your foot? " The Man replies, "2-3 months." A man came in for prayer and he was experiencing pain on his right side. The Team sat him down and checked his legs. They could see that one leg was shorter than the other. They prayed for his left leg to grow out and it did! His pain lessened. They prayed for the rest of the pain to go and it did. He also had pain in his shoulders and neck area. They prayed for that and it went away too!